Investing in formal training can be a tough decision for busy dairy farmers. A new business plan writing course is helping to address that and provide a stepping stone to further learning. Melissa Shove already had two diplomas (in sports management and coaching, and sports massage), when she found herself shoulder-tapped for a ‘Write a business plan’ course by her local branch of the Dairy Women’s Network (DWN). 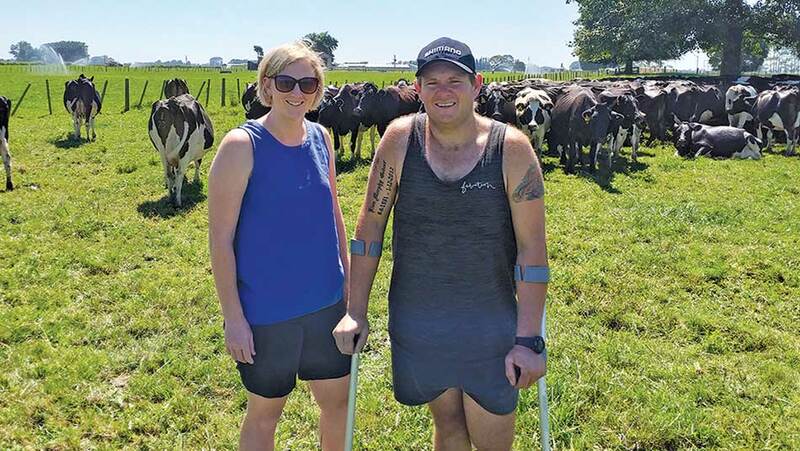 Whakatane-based Melissa had downsized her sports massage business to one day a week after having children and, in 2017, she and her husband Jeremy started their first season contract milking on Melissa’s parents’ farm near Edgecumbe. Her May/June 2018 course was tutored by Dairy Training Limited’s (DTL) Gillian Searle. Melissa loved the course’s approach because most of the work could be completed in the classroom and the business plan could be applied on the farm straight away. Melissa and husband Jeremy Shove’s business plan helps them to keep on track when the unexpected happens – like Jeremy breaking his leg in January. Course attendees can also put their business plan forward for NZQA accreditation. Melissa has done this and now her learning has been recognised as part of her Diploma in Agribusiness Management. This course is free for participants (men and women) during its pilot phase. It’s funded by the Joint Venture Amalgamation Project (JVAP), a partnership between Primary ITO, DairyNZ, Wintec and DairyNZ’s subsidiary, DTL. Participants don’t have to be DWN members but all registrations must go through the DWN website. Go to dwn.co.nz (then click on the events calendar) to register and learn more about these courses. Phone Jodie Mexted at 027 253 7958 if you’d like to speak with someone.